“The sky is falling!” Chicken Little, a fictional character, warned hysterically. For many people, a similar warning could have been used to describe the recent government shutdown. Sounding an alarm that seemed to imply the beginning of the end of government as we know it, the media was quick to point fingers at those whom they perceived to be the most likely cause for the shutdown. Likewise, both politicians and political pundits of all stripes didn’t hesitate to share their views and “expert advice” on the matter. To be sure, whatever one’s perspective on the gravity of and reasons behind the shutdown, as well as its implications for the future, there is no question that it came with both intended and unintended costs and consequences, many of which admittedly were very serious, on multiple levels—personal, organizational and societal. This column focuses on the human response to inescapable and personally unavoidable situations, much like the federal government shutdown, from an existential point of view. In other words, how can people in all walks and stages of life — regardless of their personal circumstances — find meaning in and, at the same time, build their capacity to deal with and ideally overcome whatever hardships and challenges they face in everyday life and work? This includes dealing with the chaos and uncertainty of a government shutdown. 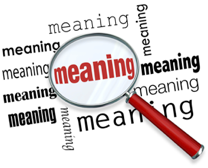 In this regard, the world-renowned psychiatrist, philosopher and Holocaust survivor Viktor Frankl, author of the classic bestseller Man’s Search for Meaning, identified the, “Search for meaning,” as the primary, intrinsic motivation of human beings. Viktor Frankl’s legacy continues to be one of hope and possibility. As a prisoner in the Nazi death camps, he saw the human condition at its worst, with people behaving in unimaginably intolerable ways. He also saw human beings rise to heights of compassion, caring, unselfishness and transcendence. Through his life and work he reminds us that we all have important work to do, that whatever we do is important and that meaning can be found everywhere, all the time. Moreover, he left a legacy that can help everyone, no matter what their situation, find deeper, richer meaning in their lives. Exercise the Freedom to Choose Your Attitude. Viktor Frankl is most frequently described as someone who survived the Nazi concentration camps and, against all odds, was able to maintain a positive attitude. Indeed, in what are perhaps Frankl’s most famous words, he espoused the following philosophy concerning attitude in life: “Everything can be taken from a man but . . . the last of the human freedoms—to choose one’s attitude in any given set of circumstances, to choose one’s way.” Importantly, it is this freedom of will concept that challenged all individuals to exercise the ultimate freedom to choose their attitude in all situations, no matter how desperate they may appear or actually be. In the case of a government shutdown, whether an employee is furloughed or required to work without pay or a contractor for or recipient of affected services, this, “Ultimate freedom,” to choose one’s attitude toward the situation always exists. It is also important to note that a person’s attitude has been shown to have a very strong correlation with their level of engagement, resilience, physical health and overall state of well-being. Look at Yourself from a Distance. Another logotherapeutic principle involves what Dr. Frankl called self-detachment, that is, our unique capacity as human beings to look at ourselves from a distance, with a sense of perspective, including the human trait known as one’s sense of humor. Being willing and able to confront inescapable or unavoidable hardship or adversity frequently requires that we be able to look at ourselves in a detached way, and even be able to laugh at ourselves. In this connection, confronting a government shutdown offers opportunities to self-detach in order to put distance between oneself and the situation at hand, cope with stress and bring authentic meaning to our lives.